IS EXTRACTING MY TOOTH OKAY? If you have ever gone to the dentist with a toothache or infection, you may have been presented with treatment options that included saving your tooth versus extracting it. You, as a patient, are then faced with an extremely important decision – but do you really understand what is involved with saving your tooth versus having it removed? I’d like to offer you some points of consideration to help in making this choice. It’s best to first understand the role of the tooth. Without understanding this, you may not be able to anticipate the changes that occur when the tooth is removed. Of course teeth are used for chewing. The front teeth incise, or tear into food, then the back teeth grind it up so you can swallow and improve digestion. Having teeth helps to give your jaw a closing position. Think of a patient who wears dentures. When their prostheses are removed, their jaws can over-close because they have lost their “stop position”. Teeth support the underlying bone, as well. If you have ever heard of the phrase “if you don’t use it, you’ll lose it”, then you understand a little bit about your jaw bone. Without teeth there to stimulate the bone, your bone resorbs away. Why does that resorption matter? We’ll get into that shortly, but just know that teeth are there for the health of your jawbone. And teeth give us a beautiful and complete smile. It’s a very signature part of your look, and can be one of the most influential parts of your first impression! I just have a space in my mouth where that tooth used to be, right?”. Although this is a very common question, the answer is a bit complex. The mouth is a constantly changing environment. There are continual forces that act on and move teeth: pressure from your cheeks and tongue, the way you chew or grind your teeth, and habits you may have such as chewing on pen caps or biting your fingernails. Also, when a tooth is lost, the tooth behind it will start to tilt forward - not slide straight into the position of the extracted tooth, but tilt down and into the space. Not only does that start to close up the gap where your tooth used to be, making it harder to put in a replacement tooth down the road, but now that neighbor tooth that has moved is compromised and its life span just decreased. The reason is that when a tooth drifts or tilts, it creates a space near the gum line where food or plaque accumulates, and usually is very challenging for a patient to clean. It’s an area where cavities can develop where your dentist may not be able to access to restore. It's also an area where bone loss can develop. Also, when that neighbor tooth drifts, your bite changes and you will find yourself shifting your food around in your mouth trying to find a place where an upper and lower tooth match up so you can chew. Further, if you do chew on the tilted tooth, the forces placed on that tooth are coming from a non-ideal angle, which can cause loosening of that drifted tooth, sensitivity, or cracks. If the tooth that is lost is an upper molar, your maxillary sinus can start to enlarge and take over the space in the bone where your tooth used to sit. If you decide later on that you would like an implant (which essentially is a screw placed into your bone) to replace your missing tooth, you may need a separate procedure called a ‘sinus lift’ which helps to push the sinus out of the way to re-create that room in the bone for your implant. And one last thing: do you remember earlier when I mentioned that if you don’t use the bone, you’ll lose it because it resorbs? Well as your bone resorbs, it is getting thinner and shorter. This becomes a problem if you were hoping to replace your lost tooth with an implant. Because an implant essentially gets ‘screwed’ into the bone, there must be enough bone width or height. Without it, an implant may not be an option for you, or you may require bone grafting to the area to replace the lost bone to make your implant possible. Another very critical piece of information in the formula of whether or not to save a tooth is if this is a strategic, or useful, tooth! When we consider how useful a tooth is, we aren’t just talking about right now, today – but also as we age. This tooth may be extremely important to you in the future. For example, a common scenario that I see is a 25-year-old patient that comes in with a toothache. It’s a lower first molar, which is a very key chewing tooth. This patient does not have a lot of money and is in pain, and is looking for a cheap and quick way to get relief. The idea of having the tooth extracted is VERY appealing because it meets this patient’s objectives: quick and cheap. Most days, I can extract that tooth for that patient that very same day - which is just music to the ears of someone in extreme pain. However, as the healthcare provider who can see the big picture for this patient, I have to have a very candid discussion. I expect this patient to live another 50, 60 or 70 years. So this tooth suddenly becomes very important! Investing some time and money into this tooth now means an improved quality of life for this patient in the long run. The quick and cheap extraction is not necessarily the preferred treatment option once we begin thinking of the big, long term picture. You can see how this affects the conversations that I have with patients. 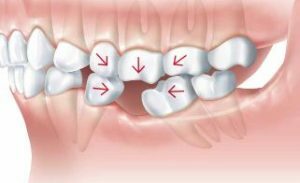 If the large cavity is on a non-strategic wisdom tooth, that’s a different conversation than if the cavity is on a tooth that helps anchor a bridge, which is a different conversation than if the tooth non-functional, sitting alone there in the back of the mouth with no opposing tooth. Then, we must consider longevity – an uncomfortable but necessary conversation to have with my patients. Longevity. If we invest a certain amount of time and money into a tooth, how long do we expect it to last? Sometimes I see a tooth with a large cavity that can be fixed, but because of significant bone loss, I expect that patient to lose that tooth in a matter of 2-3 years. In this case, fixing the cavity may not make sense because the bone loss has taken away the longevity of that tooth; an extraction may be the ideal treatment. What about longevity of all the teeth in the arch? For example – a patient with a broken tooth on the upper right. Let’s say this tooth can be treated and fixed in a manner in which I expect to last 10-15 years or more. But if the rest of the upper teeth have rampant decay and cannot be fixed, there is not longevity for that arch, and it may not make sense to keep this one tooth. This is why my practice emphasizes comprehensive care. When a new patient comes in as an emergency, it can be difficult to have that discussion about longevity of their whole arch or their whole mouth when they are focused on single, hurting tooth. If I can evaluate their entire mouth, comprehensively, I can have a better discussion with my patient that includes a consideration of longevity of their other teeth. And then there is longevity of the patient, and this is why your dentist evaluates your medical history. I had a patient come to me about 6 months ago. He had terminal cancer with 3 months to live. He had a toothache on a perfectly fixable tooth, and the rest of his teeth in that arch were in pretty good shape. But the patient himself did not have longevity. Doing the root canal and crown on his tooth did not make sense in this situation, so an extraction was performed instead. Again, longevity is not an easy discussion to have, but it matters when your dentist is trying to help develop your treatment plan options. There are, of course, financial implications of each option, and typically extracting a tooth is the cheaper option. Although, if there is a future plan of replacing the tooth such as with an implant, a bridge, or a removable partial denture, you may be surprised to find that saving the tooth ends up being cheaper than extracting and replacing it. If you are leaning toward extracting your tooth, an important question to ask your dentist is, “what are my options for replacing this tooth if I decide later that I want to have a tooth there?”, and “how much time do I have to make that decision?”. As mentioned earlier, the mouth constantly changes and waiting too long may make it impossible to replace that tooth, or may require more treatments than if it was replaced right away. Once you consider the costs of that replacement option, you can make a better decision about which treatment option really is the cheapest for you. I always tell my patients that life is like a pie, and your oral health is one of many slices of that pie. You have to consider how you want to spend your time and money in life – whether you invest in your faith, your family, your health, entertainment or travel, your retirement, anything. As a dentist, I cannot make that decision for my patients, but I can make sure that they know the clinical rationale behind their treatment options; the consequences of those choices for that tooth, their mouth and their health; and the costs of each option, so that my patients can truly make an informed decision. So now you see there are many factors to think about and pieces that go into the formula to calculate whether or not to save a tooth. This is why the conversation you have with your dentist when discussing treatment options is so valuable. You can’t be afraid to ask questions because you need to understand the implications of your decision. Sometimes you need to go home, think it over and possibly discuss with others who are involved in your care. At my practice, we love and value these questions because it shows me that my patients are really thinking about their decision and have weighed their options. My practice’s website is built to be an educational resource where patients can read explanations and watch videos about the treatments we have discussed. The more you understand, the better you can feel about your decision. I still do extractions in my practice; sometimes it’s the best option for the patient from a clinical standpoint, and sometimes – despite the patient being onboard with the clinical reasons, despite our financial payment options – the patient just can’t afford anything else but the extraction. As a healthcare provider, my job is to take care of my patients, even if they cannot do ideal treatment. I don’t scold or judge them, I just want to treat their pain or infection. And I want them to feel educated about what is going on in their mouth before they rush to make an important decision. 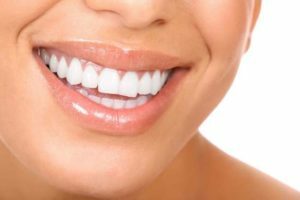 If you ever are faced with a decision about restoring a tooth or removing it, I hope that some of these points come to mind and help you in making that choice! Dr. Erin Stockton, DMD attended dental school at Nova Southeastern University in Fort Lauderdale, FL and completed a general practice residency at the University of Nebraska in Omaha, NE. She practices dentistry here in Albuquerque with her husband, Dr. Seth Stockton, DMD at Copper Canyon Family Dentistry at 6830 Montgomery Blvd NE #A. They have two daughters and enjoy spending their free time with family – whether camping, having large family get-togethers, cooking or taking the kids to the park. Dr. Erin Stockton can be reached at (505) 830-9081 or email us at coppercanyonfamily@gmail.com.